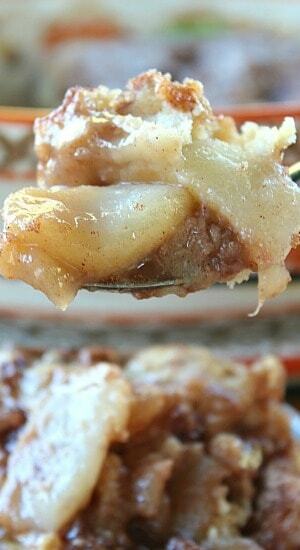 Pear pecan cobbler is always a hit at our house when I make it for the family. 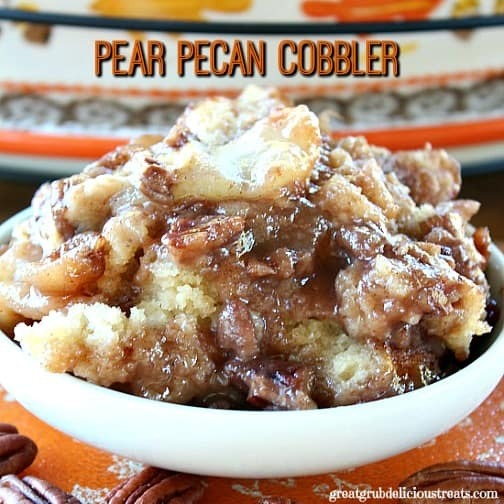 Any type of cobbler tastes amazing and this is one that you just have to try. 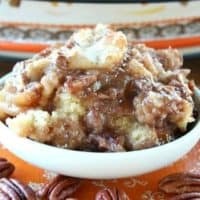 With Thanksgiving less than a week away, this pear pecan cobbler is a great dessert to add to your holiday dessert menu. Don’t you just love making simple homemade desserts? 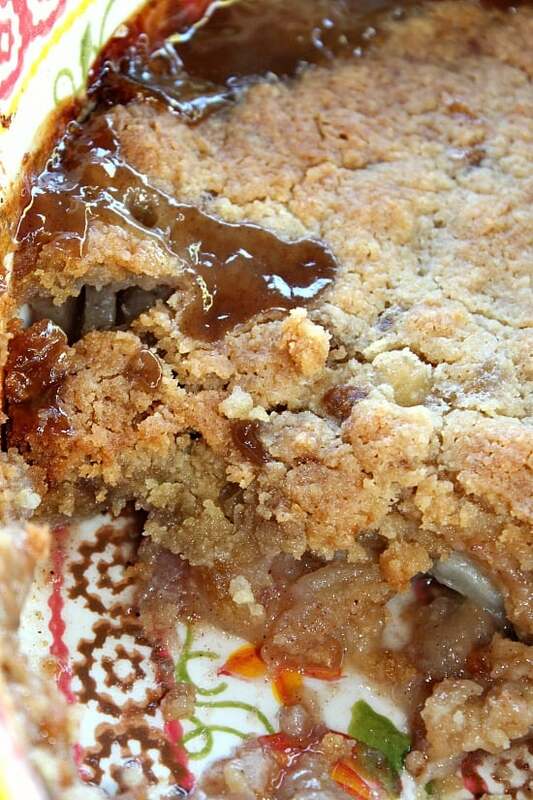 All of my cobblers on the blog are not difficult to make. 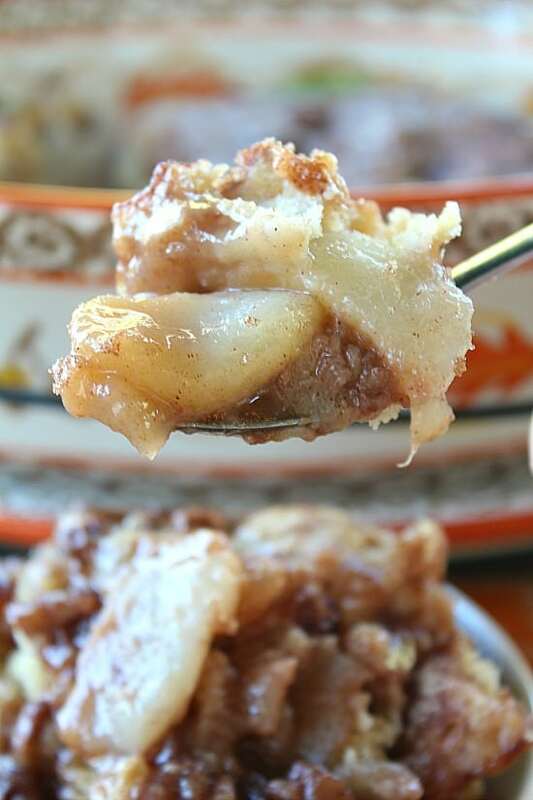 Seasonal desserts are great and since we are in the heart of fall season, this pear pecan cobbler is a great dessert. Check out my Fresh Peach Cobbler recipe too. That’s a great recipe not only for summer but if you are still able to get peaches, it’s delicious anytime of year. 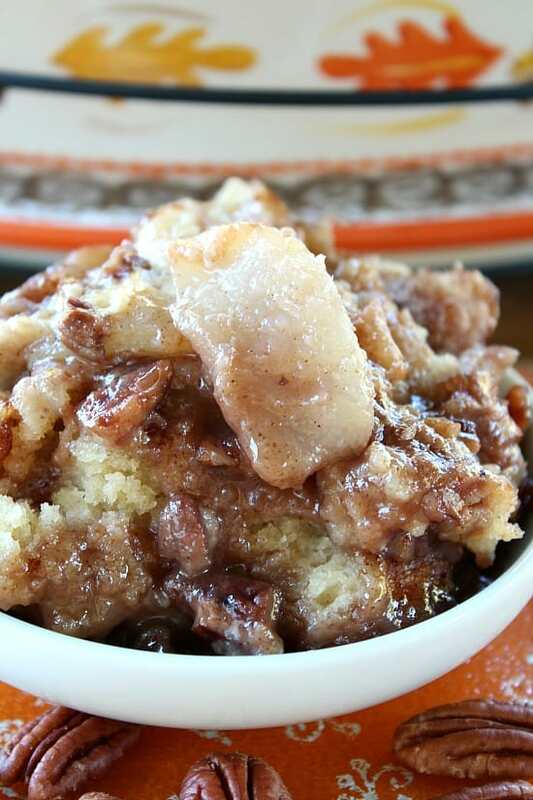 This pear pecan cobbler can be made with cranberries and walnuts added as well. Oooh, doesn’t that sound good… I’ll have to make that again next time I make a cobbler. What a perfect dessert for the holiday season. What is your favorite type of cobbler? My favs are the berry cobblers if I had to choose, like blueberry or blackberry. But peach, apple and pear are right up there among the favorites as well. 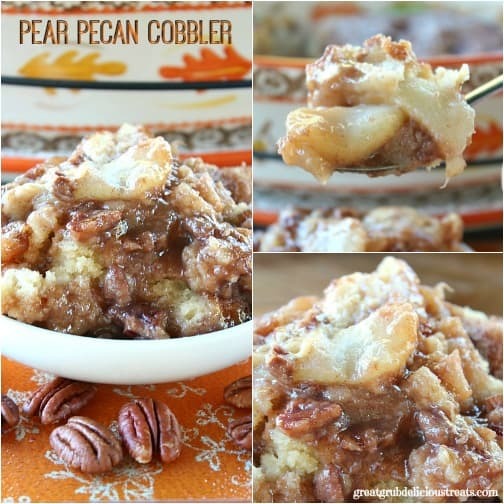 This pear pecan cobbler is super delish. Peel, remove seeds and slice pears. Add to large mixing bowl. 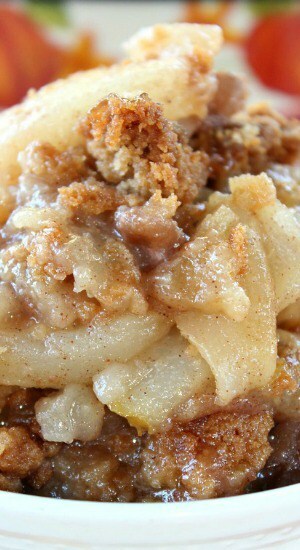 Sprinkle brown sugar, sugar, cinnamon, corn starch, lemon juice and nutmeg over pears. Stir until pears are well coated. Spoon mixture over pears and spread gently making sure to cover the pears. 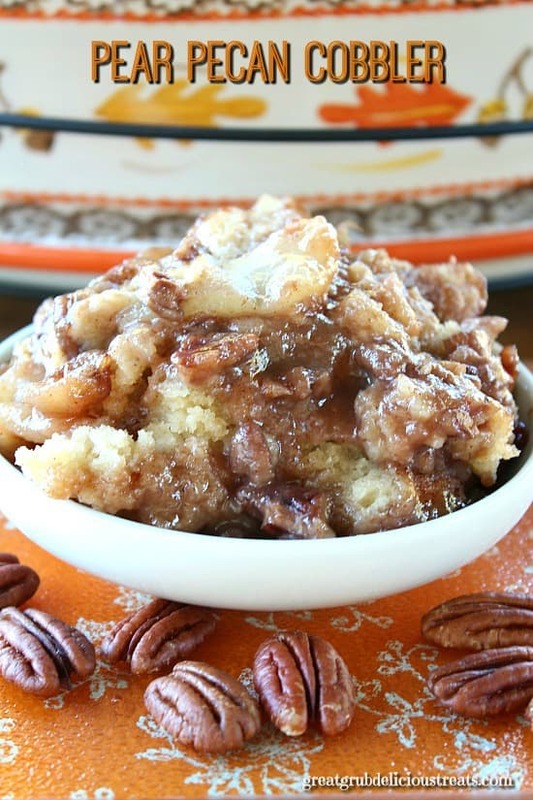 In a small bowl, mix sugar and cinnamon together and sprinkle on top of the cobbler. Bake for approximately 35-40 minutes, or until topping is golden brown.